Though many men and women born with freckles treasure their extra spots, others regard them as a nuisance and want to get rid of them. It's possible to conceal freckles with tinted moisturizers or cosmetic foundations and concealers, but a few permanent solutions exist. One option includes applying vitamin C to freckles, says the New Zealand Dermatological Society. This reduces the freckle pigment and makes them less noticeable. Before applying vitamin C to your face to remove freckles, consult a dermatologist about the potential side effects. Clean your face with warm water and a gentle cleanser. Gently pat dry with a clean towel. Cut a medium-size lemon in half with a sharp knife. Squeeze the lemon juice into a small bowl. Remove any seeds that fall into the bowl. Add 1/2 tsp. of sugar to the juice and stir with a spoon. 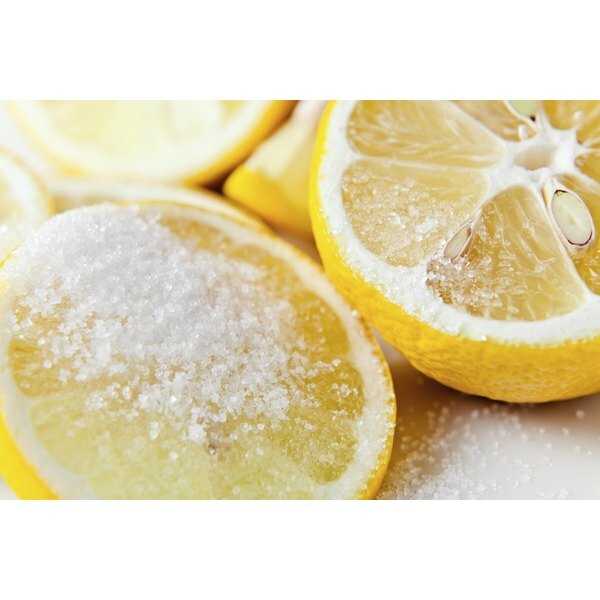 Dip a cotton ball into the lemon juice and sugar mixture and allow it to absorb the mixture. Rub the soaked cotton ball over your freckles, gently exfoliating your skin. Lemons contain high amounts of vitamin C, an acid often referred to as "ascorbic acid." The acid naturally fade freckles, sunspots and even scars, according to Care2.com. Repeat at least once per week for best results. The sugar in this recipe exfoliates and removes built-up skin cells.